Democracynow.org – The Intercept series “The Drone Papers” exposes the inner workings of how the drone war is waged, from how targets are identified to who decides to kill. 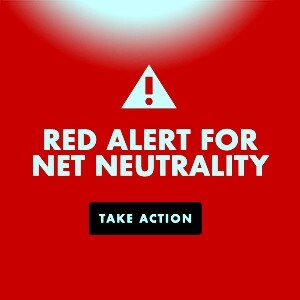 They expose a number of flaws, including that strikes have resulted in large part from electronic communications data, or “signals intelligence,” that officials acknowledge is unreliable. We speak to Intercept reporter Cora Currier, whose article “The Kill Chain,” reveals how the U.S. identifies and selects assassination targets, from the collection of data and human intelligence all the way to President Obama’s desk. Democracynow.org – President Obama has reversed plans to withdraw most U.S. troops from Afghanistan by the time he leaves office. On Thursday, Obama said a deteriorating security situation will force him to maintain the current deployment of 9,800 soldiers through 2016. When Obama’s term ends in 2017, the U.S. will keep at least 5,500 troops at four bases across Afghanistan. After 14 years of war, the Taliban now holds more of Afghanistan than at any point since the 2001 U.S. invasion, and some estimates put them in control of half the country. President Obama’s announcement comes nearly a year after he declared an official end to the U.S. combat mission, though U.S. military operations have continued. The move assures that despite previous pledges, the war will continue under his successor. We are joined by Intercept reporters Jeremy Scahill, Ryan Devereaux and Cora Currier, whose new series “The Drone Papers” includes a detailed look at the drone war in Afghanistan based on government leaks. A former US drone operator has been awarded the biennial ‘Whistleblower award’ in Germany. Brandon Bryant revealed details of the secret programme he worked on. RT spoke with him right after the got the prize. This entry was posted in Afghanistan, All Posts News Politics and-or Videos, Dandelion Salad Videos, Death-destruction, Human Rights, Politics, War Crimes and tagged Brandon Bryant, Drones, Jeremy Scahill, Kill List, Meet the new boss the same as the old boss. Bookmark the permalink. There was a time when governments operated with impunity. That is no longer possible. The United States has wagged its finger at other miscreants with patronizing arrogance. The day is now dawning when it shall be called to account and the public record will be clear for all to heed. The difference between a criminal action by an individual and a state is vast and disproportionate. The former may expect a formal indictment and may be forced to make reparation by some means; the latter will only be judged by history, and so their fate depends how that history is constructed and construed, and whether it is responded to with consensual sincerity. Some in the US have already formulated their judgements as to how their government has conducted itself of late. Dr Paul Craig Roberts has just written that “…The crazed filth that controls US foreign policy is capable of defending US hegemony with nuclear weapons. The neoconservatives must be removed from power, arrested, and put on international trial for their horrendous war crimes before they defend their hegemony with Armageddon…” Dr Roberts says the world order shifted when Vladimir Putin addressed the UN on Sept. 28th. As for the post WW2 crimes of the past 70 years, Prof. Chomsky has documented that ignoble story with meticulous propriety. Americans have some serious thinking to do. Thanks, David. 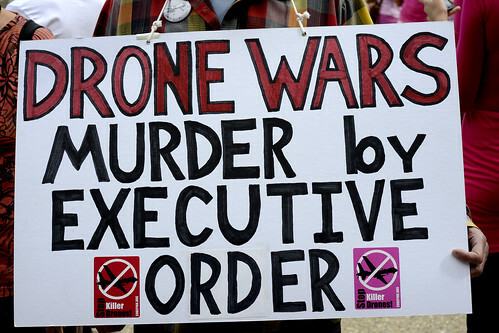 I will only vote for a president who says he/she will eliminate the drone program entirely. So far, Sanders has not said this.